Named after seawater, aquamarine’s fresh watery hue is like a cool plunge into a refreshing pool. 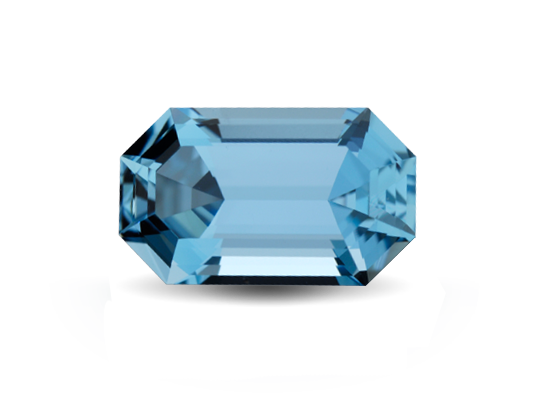 Aquamarine’s most valuable colour is a dark blue to slightly greenish blue. Aquamarine’s name comes from the Latin for seawater and it was said to calm waves and keep sailors safe at sea. March’s birthstone was also thought to enhance the happiness of marriages. The best gems combine high clarity with limpid transparency and blue to slightly greenish blue hues. 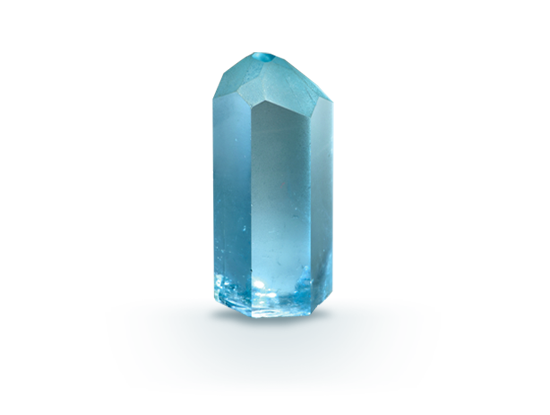 Like many beryls, aquamarine forms large crystals suitable for sizeable fashioned gems and carvings. 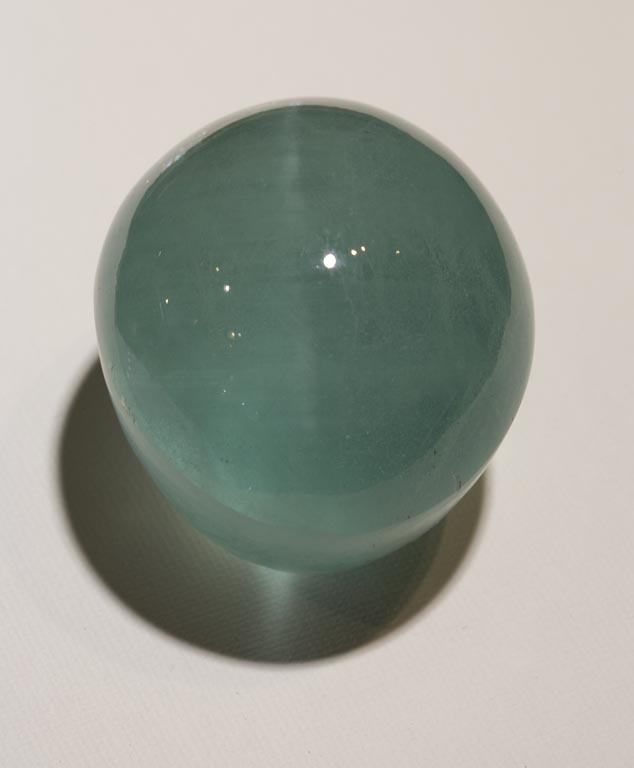 Like emerald, aquamarine is a colour variety of the mineral beryl. 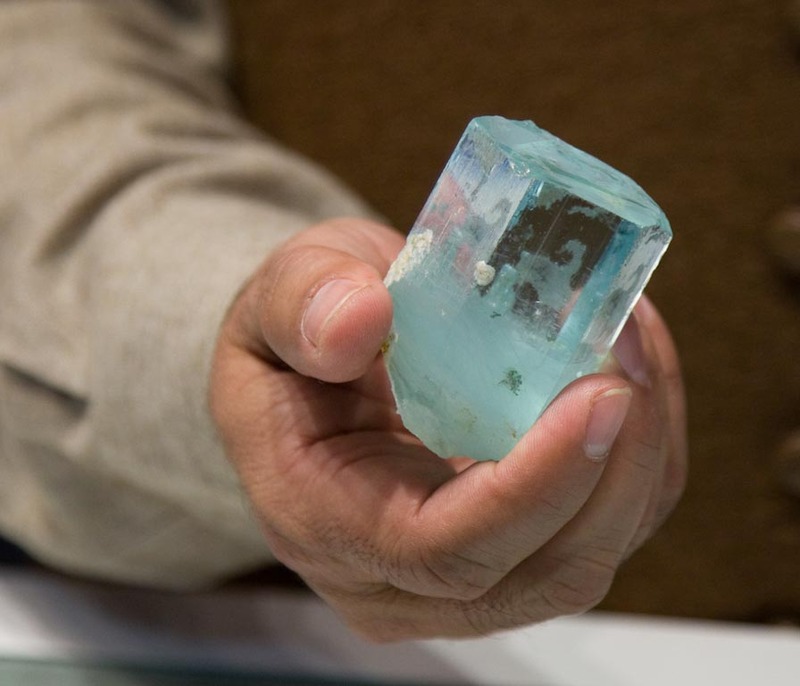 Aquamarine grows in beautiful six-sided prismatic crystals that, on rare occasions, can be more than a foot long. 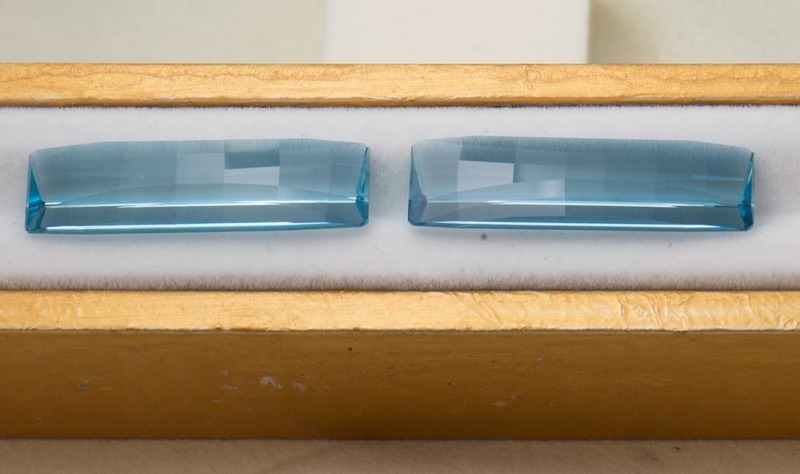 Using a dichroscope, you can see that aquamarine is near colourless and stronger blue in different crystal directions. 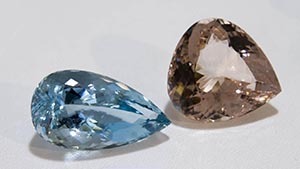 Aquamarine’s preferred colour is a moderately strong dark blue to slightly greenish blue. 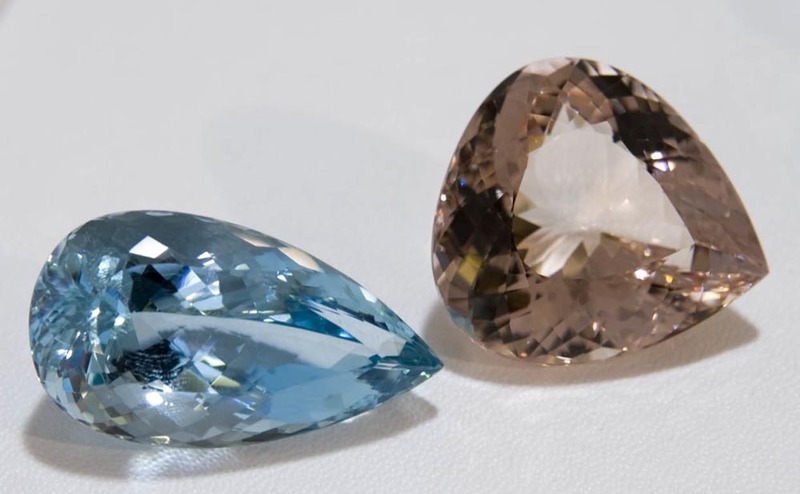 Because aquamarine’s colour is light, cutting is important and well-cut gems show brilliance. Explore sources, gemmological research and the role of aquamarine in history.